This hardcover book is 88 delightful pages of insights into our eating psych, causing us to rethink were we are health wise and how we got there. Each concept is humorously depicted with photos of children being children. You're gonna love this book and love yourself after reading it. To learn more about the author and the book click on the book. The story, written in an easy rhyming verse, is sure to grab the attention of young children. Debra’s illustrations support the text in a timeless and delightful style, transforming ordinary bedroom objects into monsters which are humorous and lively. For adult history buffs or anyone interested in learning about the struggles of our country's early pioneers, this soft cover book is a real treasure. 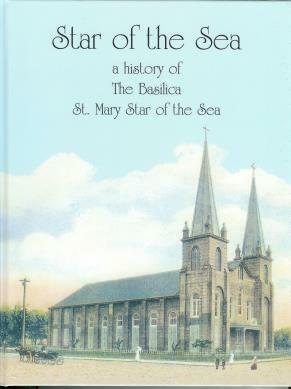 The History of the Basilica St. Mary Star of the Sea. This is the story of the oldest Catholic parish in South Florida. The third oldest parish erected in the state of Florida, St. Mary Star of the Sea has recently been distinguished by the Vatican as a Minor Basilica. With 200 pages of history and photos, this historic book recounts the journey of Catholic faith in Key West from Ponce de Leon's discovery of Florida to 2012 when Archbishop Thomas Wenski dedicated the church as a minor basilica.